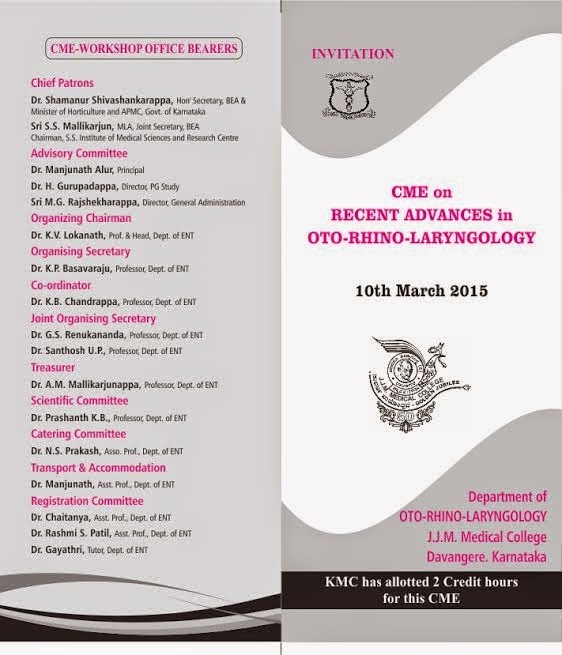 Otolaryngology Update: CME ON "RECENT ADVANCES IN OTO-RHINO-LARYNGOLOGY" @ JJM MEDICAL COLLEGE , DAVANGERE , KARNATAKA ON 10 MARCH 2015. CME ON "RECENT ADVANCES IN OTO-RHINO-LARYNGOLOGY" @ JJM MEDICAL COLLEGE , DAVANGERE , KARNATAKA ON 10 MARCH 2015. 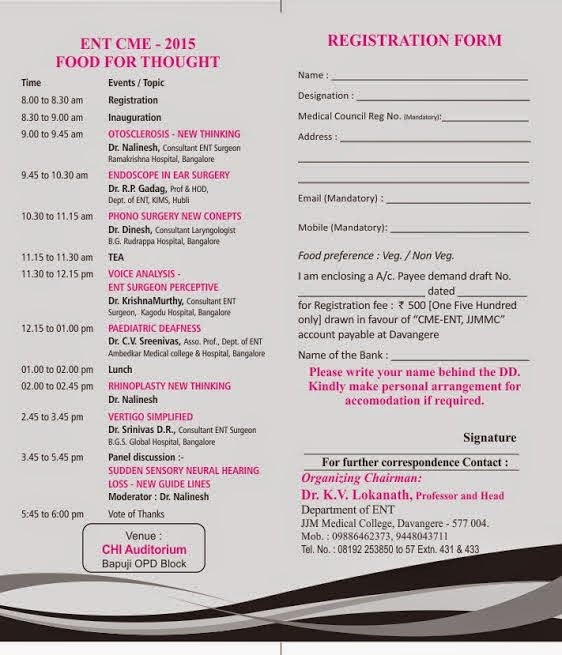 We are holding a cme on "RECENT ADVANCES IN OTO-RHINO-LARYNGOLOGY" at our college on 10th March 2015. Venue :CHI auditorium Bapuji Hospital OPD block. The details regarding the speakers, topics and registration form has been attached below. Kindly do come and join us.